Composed by Sigfrid Karg-Elert (1877-1933). 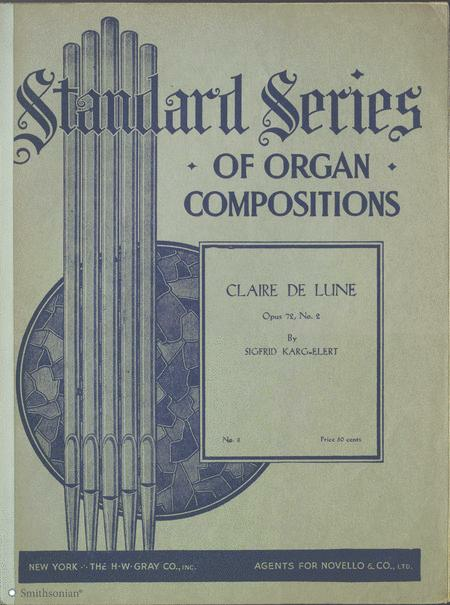 From the Sam DeVincent Collection of Illustrated American Sheet Music, Series 21.17: Musical Instruments - Organ, Box 40, Folder I, Archives Center, National Museum of American History, Smithsonian Institution. Classical. 9 pages. Published by Smithsonian Institution (S8.AC0300-1000439). 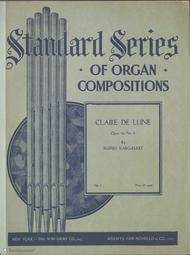 Sheet music published by The H.W. Gray Co. The Smithsonian Collection: These official, high-quality facsimiles have been hand-picked from the Sam DeVincent Collection of Illustrated American Sheet Music in the Archives Center of the Smithsonian Institution and are available exclusively through Sheet Music Plus.